Commercial We offer a full range of commercial law services touching upon most areas of commerce. Corporate BAA has a distinguished history of advising some of the most prominent private corporations. 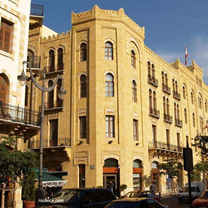 Maritime BAA is preeminent in Maritime and Transportation law in Lebanon, with a long and distinguished history. Aviation BAA has a broad expertise in aviation law. We advise key international players on various aspects of aviation law. Insurance & Reinsurance BAA’s attorneys have a broad expertise in insurance and reinsurance matters. Banking BAA has an old and active banking practice representing banks and financial institutions. Energy BAA regularly handles complex, jurisdictional and international maritime litigation cases. Intellectual Property BAA regularly assists clients with transactions involving intellectual property assets. Agency & Franchise BAA provides in-depth advice to acquirers and targets in private merger and acquisition transactions. Mergers & Aquisitions BAA provides in-depth advice to acquirers and targets in private merger and acquisition transactions. Finance BAA has a distinguished history of advising some of the most prominent private corporations. Bankruptcy BAA has a distinguished history of advising some of the most prominent private corporations. Arbitration & Mediation BAA has a distinguished history of advising some of the most prominent private corporations. Employment BAA has a distinguished history of advising some of the most prominent private corporations. Retail BAA has a distinguished history of advising some of the most prominent private corporations. Construction & Real Estate BAA has a distinguished history of advising some of the most prominent private corporations. Taxation BAA has a distinguished history of advising some of the most prominent private corporations. Hospitality BAA has a distinguished history of advising some of the most prominent private corporations. Regulatory & Administrative Law BAA has a distinguished history of advising some of the most prominent private corporations. Media & Advertising BAA has a distinguished history of advising some of the most prominent private corporations. Litigation BAA represents both domestic and foreign institutions in various court disputes at all judiciary levels.